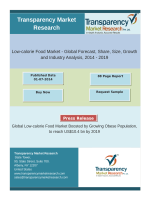 to rise in consumer expenditure and increase consumer health awareness, low-calorie chocolate market is growing. demand for low-calorie chocolate market has increased. changing consumer preferences, are acting as a barrier for low-calorie chocolate market. market in the forecast period. annual production, almost 500,000 is used for US chocolate candy. Kraft Foods, Dreyer, Breyers, Ben & Jerry’s, Haagen Daaz.